The crabapple is the only apple native to North America. Apples come in all shades of reds, greens, and yellows. 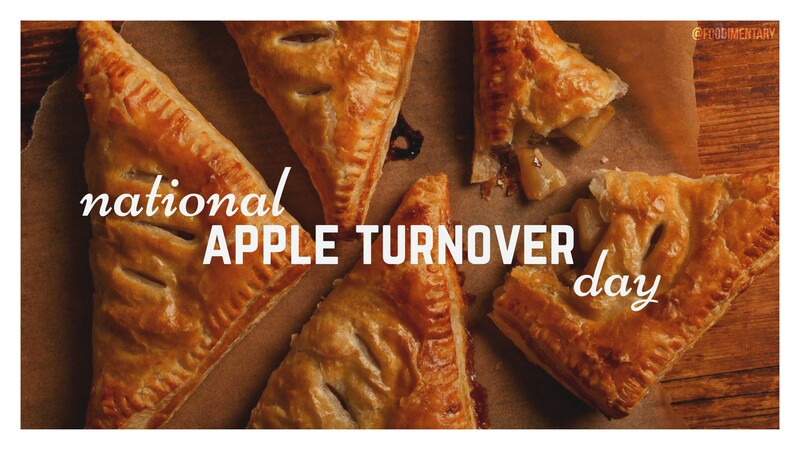 Two pounds of apples make one 9-inch pie. Apple blossom is the state flower of Michigan. A medium apple is about 80 calories. 1794 Sylvester Graham was born in West Suffield, Connecticut. He advocated vegetarianism, temperance and the use of coarse ground whole wheat (graham) flour. He also invented the Graham cracker in 1829. 1826 Joseph-Louis Proust Died. Proust was a French chemist. In 1799 he was the first to extract sugar from grapes, and proved it identical to sugar extracted from honey. 1841 Thomas Cook hired a special excursion train between Leicester and Loughborough in England for a temperance meeting. The beginning of Thomas Cook & Son, the worldwide travel agency. 1942 Oskar Bolza died. German mathematician noted for his work on the reduction of hyperelliptic to elliptic integrals. 1958 ‘The Purple People Eater’ by Sheb Wooley is #1 on the charts. 1966 Large hailstones fell on Detroit Lakes, Minnesota. One hailstone measured 1 foot in diameter. 1996 The record catfish caught with rod and reel weighed 111 pounds and was caught in Tennesee. 1996 Dolly, a sheep, was born at the Roslin Institute in Edinburgh, Scotland. Dolly was the first animal cloned from an adult animal. Cold dessert mousses are often poured into decorative glasses and garnished with fruit, sweet sauces, or whipped cream. Savory mousses can be made from fish, shellfish, meat, foie gras, etc. There are three key constituents to a mousse: base, binder, and aerator. They may be hot or cold and are often squeezed through a piping bag onto some kind of platform to be used as hors d’oeuvres. Savory mousse dishes were an 18th century French achievement. Dessert mousses (generally fruit mousses) began to appear much later, in the second half of the 19th century. 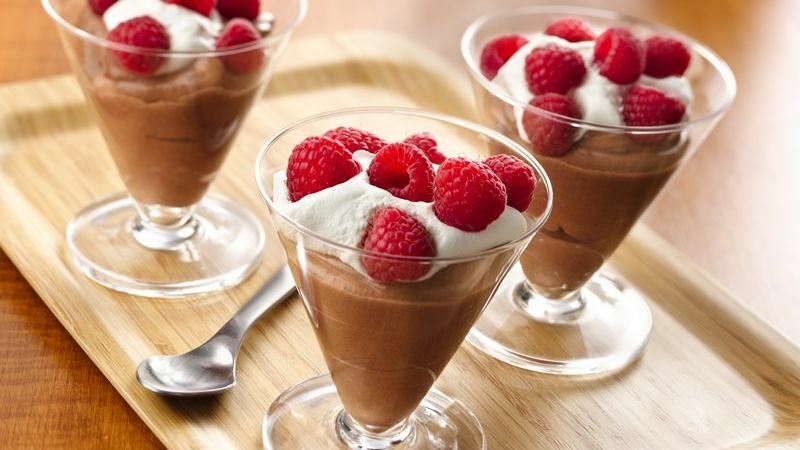 The first written record of chocolate mousse in the United States comes from a Food Exposition held at Madison Square Garden in New York City in 1892. 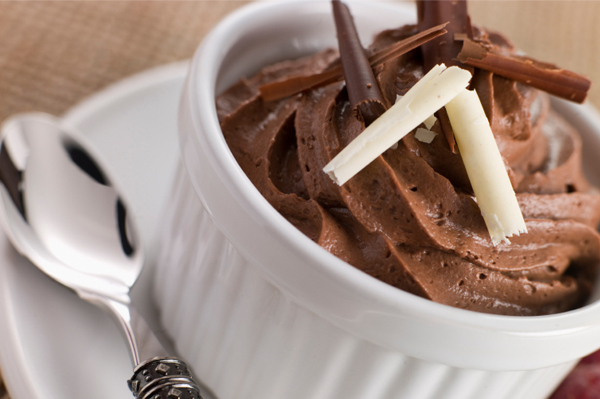 Chocolate mousse came into the public eye in the U.S. in the 1930s, about the time as chocolate pudding mixes were introduced. 1878 At 7 a.m., the Washburn A flour mill in Minneapolis exploded, sending the roof 500 feet in the air. 18 workers were killed and seven other flour mills were also destroyed. 1885 Good Housekeeping magazine begins publication. Founded by Clark W. Bryan, the magazine was purchased by Hearst publishing in 1911. 1934 Sergey Vasilyevich Lebedev died. A Russian chemist who developed a method for large scale production of synthetic rubber. Production of polybutadiene was begun in 1932 using potatoes and limestone as raw materials. 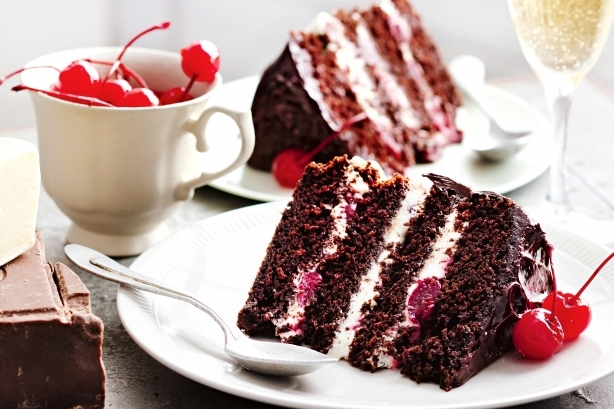 Typically, Black Forest cake consists of several layers of chocolate cake, with whipped cream and cherries between each layer. In some European traditions sour cherries are used both between the layers and for decorating the top. The cake is named not directly after the Black Forest (Schwarzwald) mountain range in southwestern Germany but rather from the specialty liquor of that region, known as Schwarzwälder Kirsch(wasser) and distilled from tart cherries. Schwarzwälder Kirschtorte was first mentioned in writing in 1934. The record for the world’s largest authentic black forest cake, weighing 3000 kg, was set at Europa Park, Germany on 16 July 2006, by K&D Bakery. In the history of black forest cake, it was not in the form of a cake but instead as a dessert recipe. The forests in “Hansel and Gretel”, “Snow White”, and “Rapunzel” are based on the Black Forest. They are all German fairy tales. 1797 The first U.S. patent for a ‘washing machine’ was issued (possibly to Nathaniel Briggs). It was called a scrub board or wash board. 1819 Sir Joseph William Bazalgette was born. A British civil engineer, he designed the main sewer system for London. 1897 Victor Mills was born. He was a chemical engineer who worked for Proctor & Gamble. He improved Duncan Hines cake mixes, improved Jif peanut butter, and invented Pampers disposable diapers. 1968 ‘Whiskey On A Sunday’ was recorded by the Irish Rovers. 1996 John Leonard submitted an order form along with ‘Pepsi Points’ and a check to Pepsi for a Harrier Jump Jet. The Harrier had been featured in a Pepsi commercial as one of the items that could be redeemed for ‘points,’ or a combination of cash and points. Pepsi subsequently refused to send Leonard the Harrier Jump Jet (actual cost: $23 million). Leonard then sued, and finally a judge ruled that the Harrier Jump Jet had obviously been mentioned in the promotion as a joke. Coffee cake was not invented, rather it evolved from a variety of different types of cakes. Cakes in their various forms have been around since biblical times, the simplest varieties made from honey or dates and other fruits. 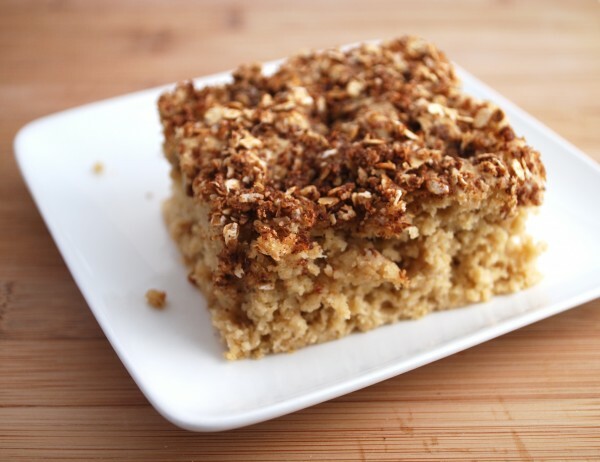 The Danish came up with the earliest versions of coffee cake. Around the 17th century in Europe, it became the custom to enjoy a delicious sweet and yeasty type of bread when drinking coffee beverages. There are many available combinations, everything from blueberry coffee cakes to cinnamon walnut coffee cake and more. The hole in the center of most coffee cakes is a relatively recent innovation—it became popular in the 1950’s. This “bundt pan” was invented to allowed heavier batters to get cooked all the way through without any dough left unbaked in the center. The first coffee cakes are thought to have originated in Germany. These were more like sweet breads than cakes. According to the book Listening to America, Stuart Berg Flexner, it wasn’t until 1879 that the term “coffee cake” became a common term. In Hungary, a type of coffee cake is aranygaluska, which utilizes cinnamon. 1727 Michel Adanson was born. Adanson was a French botanist who developed a system of plant classification based on physical characteristics. His system was opposed by Carolus Linnaeus, and was not widely used. 1857 A cold front barrels over the U.S. and snow falls in every state in the country. 1860 Will Kieth Kellogg was born. Founded the Battle Creek Toasted Corn Flake Co. (later the W.K. Kellogg Company) to manufacture cereals (cornflakes were the first) developed by his brother John Harvey Kellogg. 1869 David Grandison Fairchild was born. An American botanist and agriculturalist, he was responsible for introducing many useful plants to the U.S. Author of ‘The World Was My Garden,’ and ‘Exploring for Plants’. 1933 The beginning of the end of Prohibition. On this day 3.2 percent beer sales were allowed in advance of Prohibition’s ratification. 1943 Mick Abrahams of the music group ‘Jethro Tull’ was born. 1948 The World Health Organization (WHO) was established. 1967 ‘Happy Together’ by Turtles is #1 on the charts. 1829 James Carrington of Connecticut patented a coffee mill. 1845 William James Farrer was born. An Australian agriculturist, he developed several new cultivars of wheat. 1860 The first Pony Express mail delivery service by horse and rider between St. Joseph, Missouri to Sacramento, California began. The 1,800 mile run took 10 days. 1956 Elvis Presley sings ‘Heartbreak Hotel’ on the ‘Milton Berle Show.’ An estimated 25% of the American population tuned in to hear him. 1959 The Coasters song ‘Charlie Brown’ is banned by the BBC because it refers to “throwin’ spitballs.” The ban only lasted 2 weeks. 1974 The Super Tornado Outbreak. 148 tornadoes in 13 states in 26 hours. The world’s largest tornado outbreak in recorded history. It included six F5 tornadoes and 30 F4 tornadoes. The first tornado hit at 1 p.m. and the final tornado hit at 2 a.m. the following morning. 1982 The temperature in Lamberton, Minnesota dropped from 78 degrees F to 7 degrees F in 24 hours. The 71 degree drop in temperature is a Minnesota record. 1985 The Brown Derby Restaurant in Hollywood, California closed after 57 years. Robert Cobb, owner of the Brown Derby, created the Cobb Salad there in 1936. 2010 Students at a Utah high school created a replica of Van Gogh’s ‘Starry Night’ using 2 tons of Malt-O-Meal cereal.